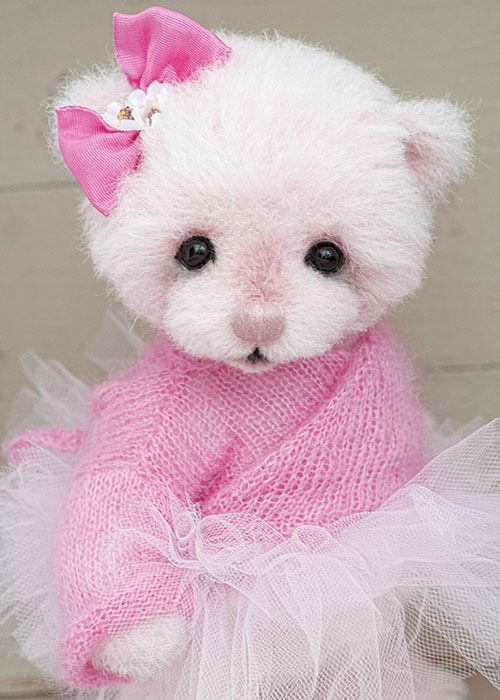 I am so pleased with this pretty 10 inch girl who is made from hand dyed alpaca. 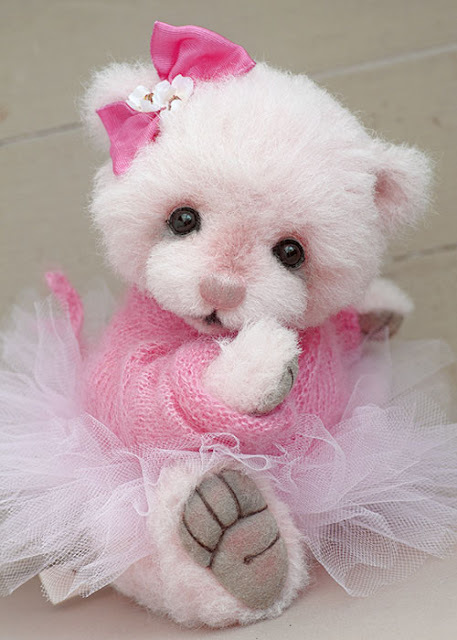 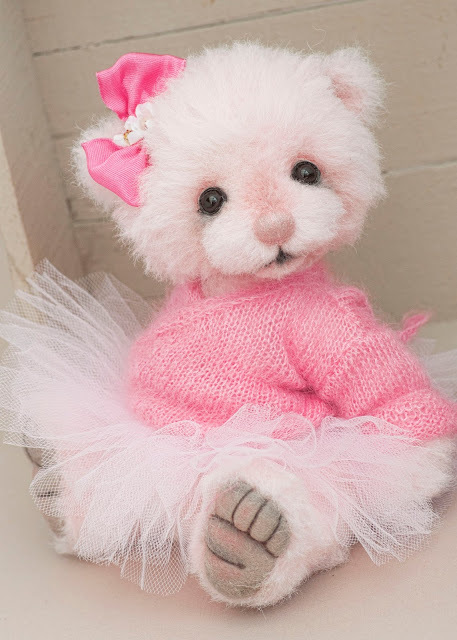 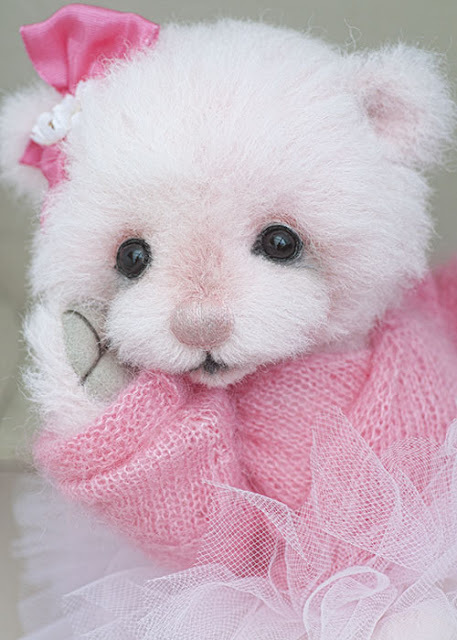 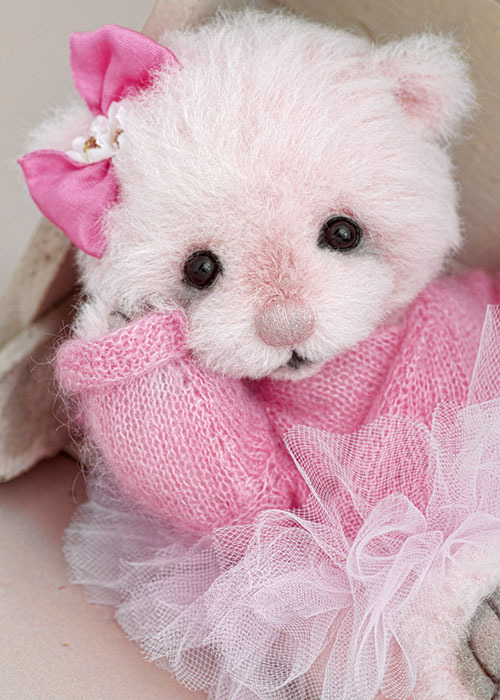 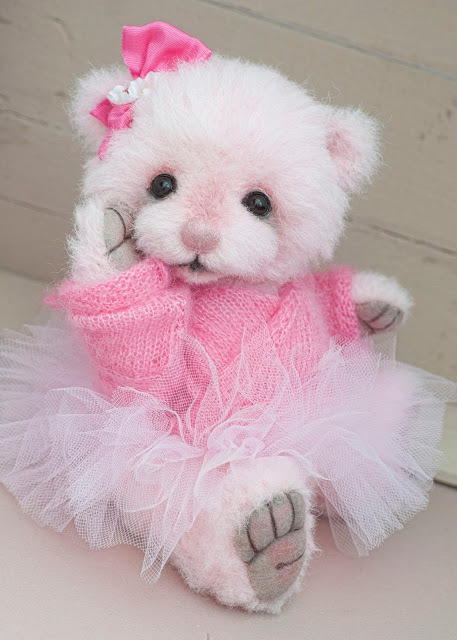 I named her Elena and I have dressed her in a sweet pink hand knitted ballerina wrapped cardigan in soft mohair wool with pink tutu and pretty bow . 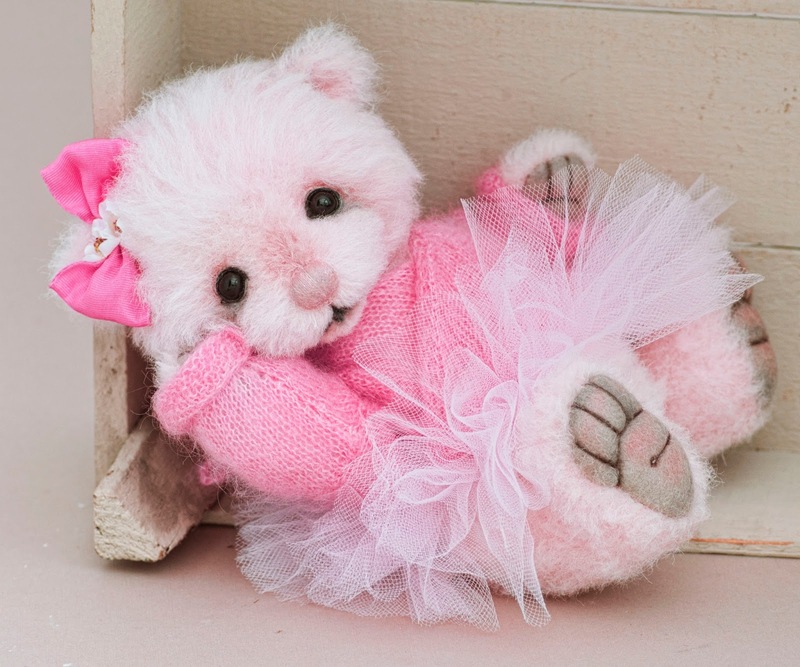 She has a shell pink nose and black glass eyes with upper lids. 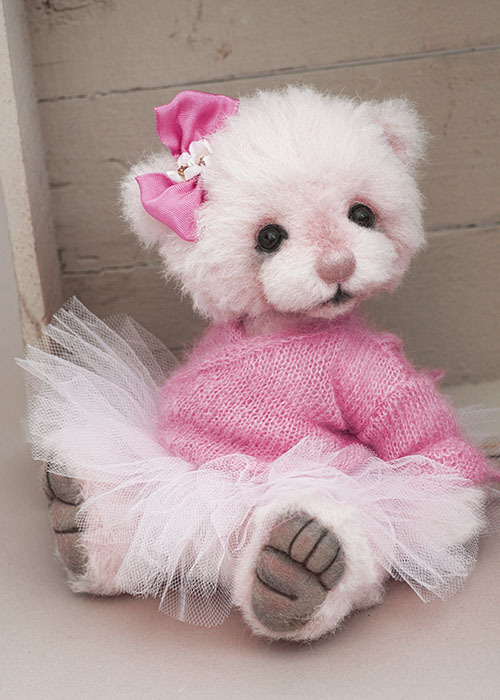 She can stand if balanced and poses very sweetly.